I found this cute tutorial about drawing flowing looking goldfish from thefrugalcrafter Lindsay Weirich. I thought that it looks quite easy to follow, and so I tried it. I experimented using only Derwent Inktense Pencils, since I’m still not used to using Inktense. It turned out that once I get to know the characteristic of Inktense, it’s not much different than using watercolour. 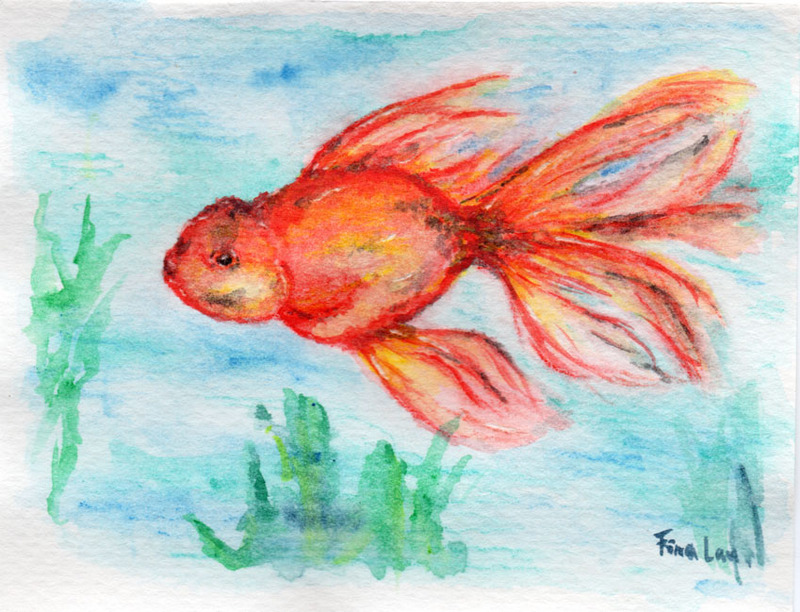 I had so much fun doing this goldfish that I put more colours on the fish.